We are one of the leading manufacturers and exporters of a wide assortment of metallized, holographic and plastic film and paper. With our range, we cater to the requirements of our clients spread across the globe at very reasonable rates. 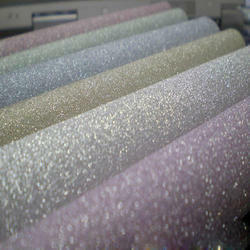 Widely used for the purpose of decoration, this Lacquered Metalized Polyester is highly preferred in the market. Manufactured using the best quality raw materials that are available in the market, its quality is never compromised. Offered in several specifications and at a very reasonable price, the offered metalized polyester is highly demanded. 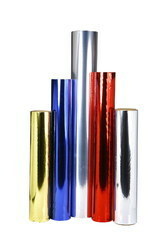 We are Leading manufacturer of CPP Gliter Film. Looking for New Item ?